Save time and money with our value package of Avaira lenses plus a 400 ml bottle of multipurpose Laim-Care solution. 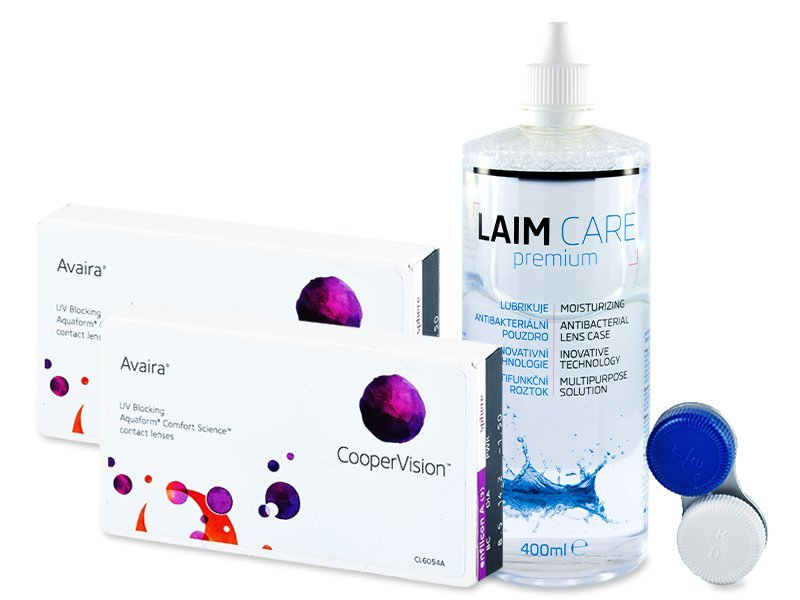 This package contains two boxes of three lenses each, Laim-Care solution, and an antibacterial lens case. Avaira contact lenses are produced by CooperVision. They feature the innovative Aquaform technology, which binds water to the surface and the interior of the lenses, thus ensuring long-lasting comfort. Excellent oxygen permeability helps eyes stay clear and white.